Economic stimulus through workforce development is a goal of ODOT’s OTIA III State Bridge Delivery Program. 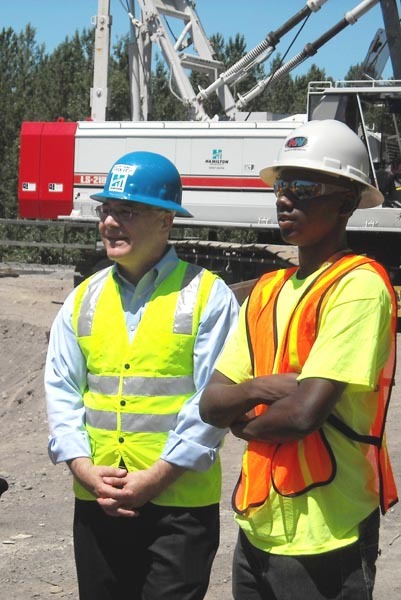 Recently, Bureau of Labor and Industries Commissioner Brad Avakian (left) joined students from the Northwest College of Construction’s summer pre-apprenticeship program on a tour of the Interstate 84 Sandy River Bridge project. 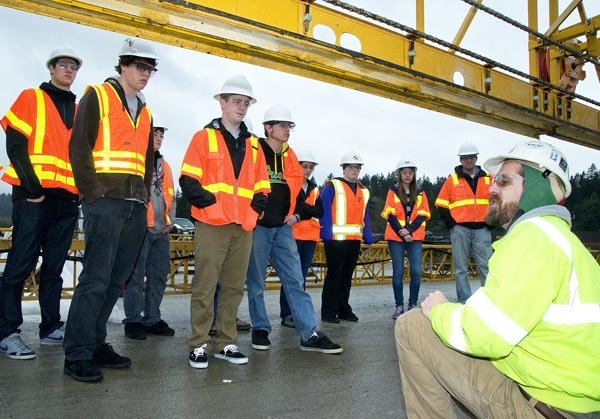 OBEC Consulting Engineers’ Brad Larsen led students from Churchill High School’s science, technology, engineering and mathematics program on a tour of the Oregon Department of Transportation’s Interstate 5 Willamette River Bridge project. Larsen explained the bridge’s design to the students, who used their learning on their own bridge design project. 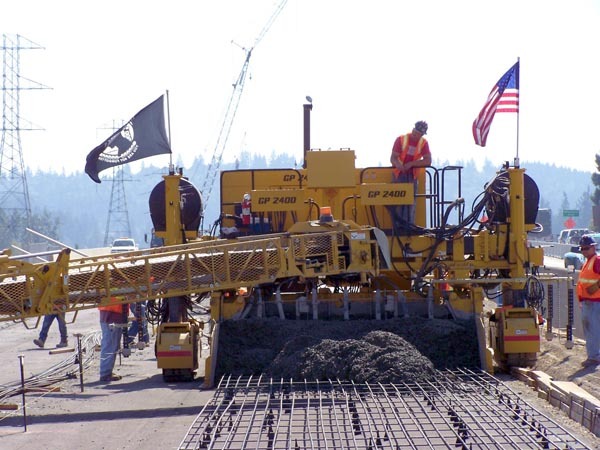 A crew on the Oregon Department of Transportation’s Interstate 5 Willamette River Bridge project in Eugene, Ore., carefully guides a large paver to form the continuously reinforced concrete pavement, creating a 12-foot-wide roadway. Additional workers follow behind to “float” a final hand finish that ensures a smooth, quiet ride. 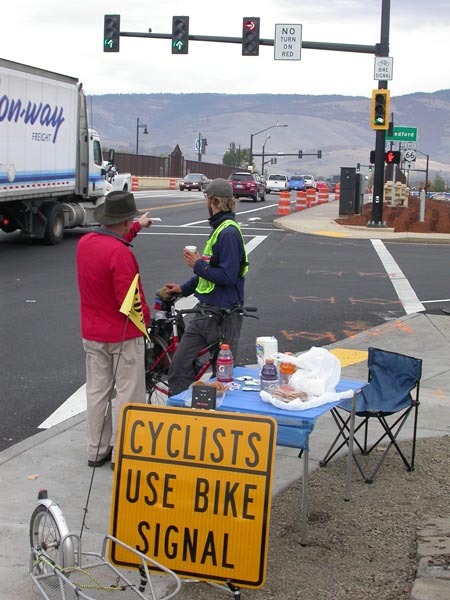 In Ashland, Ore., the Oregon Department of Transportation went the extra mile for cyclists by enhancing the safety of a busy intersection. A new bicycle signal at the Interstate 5 entrance allows cyclists to remain in a bike lane when crossing the intersection before cars turn onto the freeway.